In March, Bolt heads to Japan for a five day trek on the UNESCO World Heritage Kumano Kodo trek, from the village of Takijiri to the coastal town of Kii-Katsuura. We’ll walk through traditional Japanese towns and past ancient temples, along the remote, mountainous trails of the Kii Peninsula. The strenuous, 35 mile hike explores the more traditional side of this multi-faceted country, and is designed as the centerpiece of each Bolt member’s extended travel through Japan’s modern city centers of Tokyo and Kyoto. For more than 1000 years, the Kii Peninsula has been a destination of pilgrimage for emperors and aristocrats, samurai warriors, and Japanese commoners, all of whom participated in rites of passage and purification as they underwent their personal journey. Grand shrines were and remain the centerpiece of the walk, and our trek will take us past the famous Hongu temple, among others. Each day of walking varies from 3 to 14.5 miles, with climbs ranging from 1000 to 2700 feet. Expect long, 6-8 hour days of hiking, rewarded by stunning landscapes, delicious, local food, and soaking in Japanese Onsen hot springs. Each night, you’ll stay in traditional Japanese inns and guesthouses (Minshuku). This 5 day Experience is designed to showcase traditional Japan. You’re encouraged to add time for solo travels in Tokyo, Osaka, and/or Kyoto for a contrasting view of the country. Connect with the Bolt members attending this experience for travel companions before and after the trek. This will be a more flexible Community Travel experience, where you’ll stay in the same accommodation with fellow Bolt members and walk at your own pace, meeting up each night. There won’t be a guide from Bolt on this trip; instead, you’ll have detailed info for transportation, all the must-sees along the way, a group of awesome people to travel with, and a local contact along the trail, in case you need help. 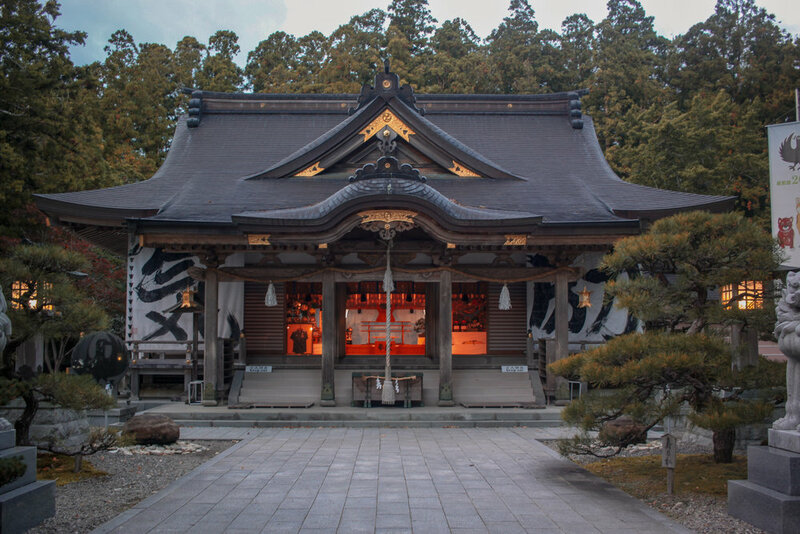 Kumano has been considered a sacred site associated with nature worship since prehistoric times. When Buddhism arrived in Japan in the 6th century this area became a site of ascetic training. As Shinto and Buddhism mixed, the belief of Kumano as a Buddhist Pure Land became prevalent. The 9th and 10th century was the formative period of the sacred sites that we know today. The first trip by an Emperor took place during this time. During the 11th to 13th centuries pilgrimages to Kumano by the Imperial family were repeated almost 100 times. Along the way, each night we’ll stay in traditional Japanese inns and guesthouses (Minshuku), including a night spent with a wonderful family. Japan is a country for eating, and we’ll have plenty of delicious food stops along the way. Please note that Accommodation is based on double/triple/quadruple occupancy, so you’ll be sharing a room with at least one fellow Bolt member. If you want to roll solo each night, single occupancy may be available for additional cost (just ask). Japan is a mix of cosmopolitan culture and pastoral, traditional living. This four day Bolt Experience is designed to give you a taste of both, with time to explore cities alongside the Kumano Kodo. Bolt’s members use the chat platform Slack to communicate, so you can link up in Tokyo, Kyoto, or Osaka before and after to plan accommodation, restaurants, and activities. The Kumano Kodo straddles the Kii Peninsula, located on Japan’s principal Honshu Island and between the cosmopolitan centers of Tokyo and Kyoto. The Experience begins with flight from Tokyo to the start of our trek on the Kumano Kodo, and ends with train travel to Kyoto. This 4 day Experience is designed to showcase traditional Japan. You’re encouraged to add time for solo travels in Tokyo, Osaka, and/or Kyoto for a contrasting view of the country. Connect with the Bolt members attending this experience for travel companions before and after the trek.